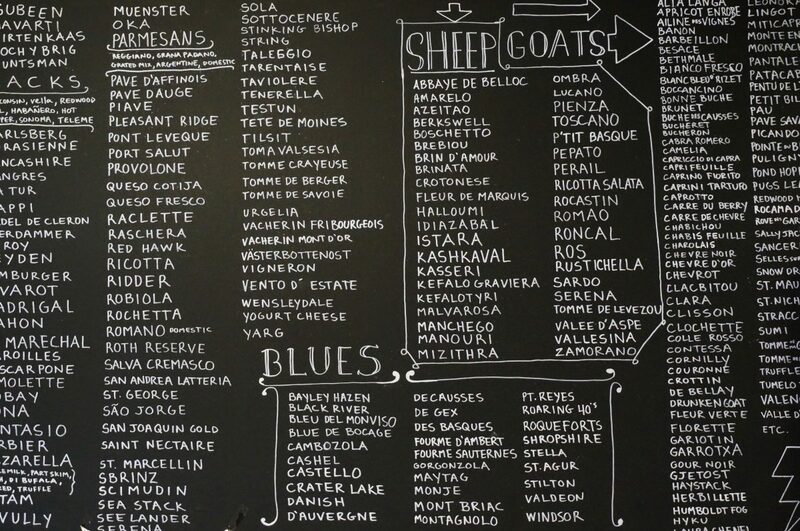 A visit to the Cheese Board in Berkeley, California can be as overwhelming as it is mouth-watering. A world-class cheese shop with its own bakery, the Cheese Board offers more than 300 varieties of domestic and imported cheese, and they bake great bread, breakfast pastries and cookies. As if that weren’t enough to keep them busy, a couple of doors down is their sister shop, Cheese Board Pizza. Open Tuesday through Saturday, they bake just one type of pie daily, with toppings like Bulgarian feta, cremini mushrooms and carmelized onions. This allows them to keep things simple and efficient, and it’s one of the reasons they are able to charge only $2.50 for a generous slice of great pizza. If you need more incentive to pay a visit, there’s the added bonus of live music performances during lunch and dinner. Founded in 1971, and still going strong, the Cheese Board is a worker-owned cooperative and one of the original members of the California Cuisine movement that sprung up in the early seventies in the neighborhood now known as the Gourmet Ghetto. Across the street is Chez Panisse, which was an early pioneer of the slow food movement and has served as the launching pad for chefs and restaurants in the Bay Area and beyond. While you’re here, take a little time to explore the neighboring shops and galleries and you’ll discover why this relaxed corner of the Bay Area remains a favorite for locals and in-the-know visitors.